On our first full day in Japan, all the students went with Chad to Akihabara. While the main purpose of the trip was to visit Yodobashi, we also visited a Don Quijote store. 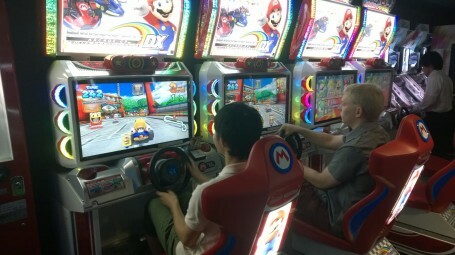 Inside Don Quijote, we experienced our first arcade center in Japan. Some of us sat down to play Street Fighter, and at one point Andy played it against one of the locals. However, this guy had obviously played the game a lot and knew all of the combination moves and special skills. We could only stay in the arcade for a short time, and we didn’t get to play most of the games there, but I have since had several opportunities to go to other arcades. All of the arcades that I’ve visited have had the same games, so you don’t need to go to a specific arcade to play a particular game. 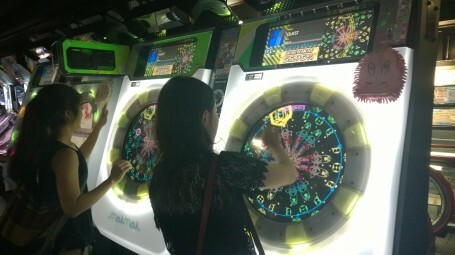 For example, every arcade has Taiko drum games, Gundam games, Street Fighter games, as well as an abundance of crane games. 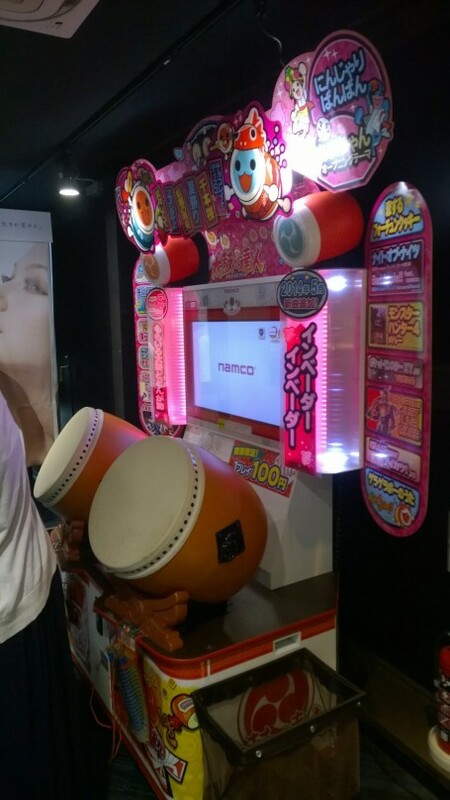 The word taiko refers to Japanese drums, and the game is comparable to Guitar Hero in the US. Though I haven’t played this game yet, I’ve watched other USC students play it, and even though it was their first attempt at the game, all of them played admirably. I have also noticed that even though there are more crane games here than in the US, they are not any easier to beat. The game I’ve played the most is a rhythm game where there is a grid of 16 squares that light up, and you have to push them with precise timing as they light up. A song is playing at the same time, and the buttons light up in time with the music. Hitting combos (multiple squares) in a row is very satisfying, and the fast paced songs ensure there is no lack of combos. It is disappointing that arcades are falling away in America because they are so much fun to go to with friends, as we saw here in Japan.